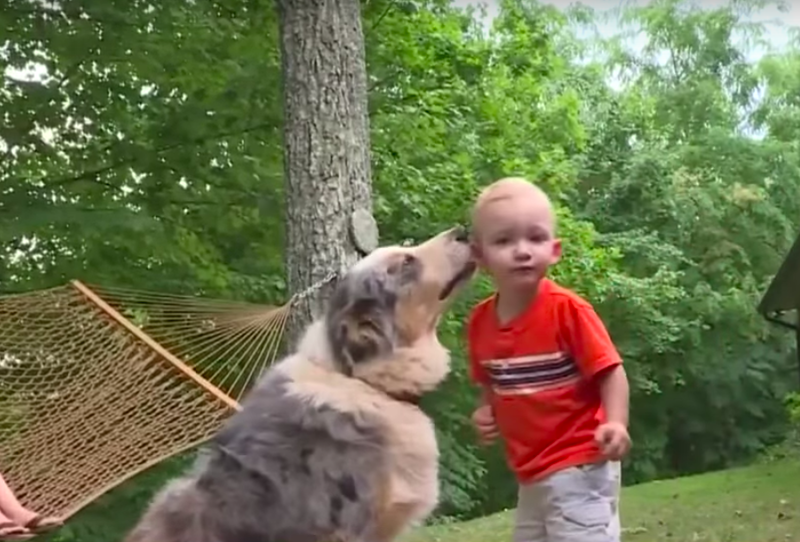 When it came to 18-month old Bryson, his Australian Shepherd was his world. 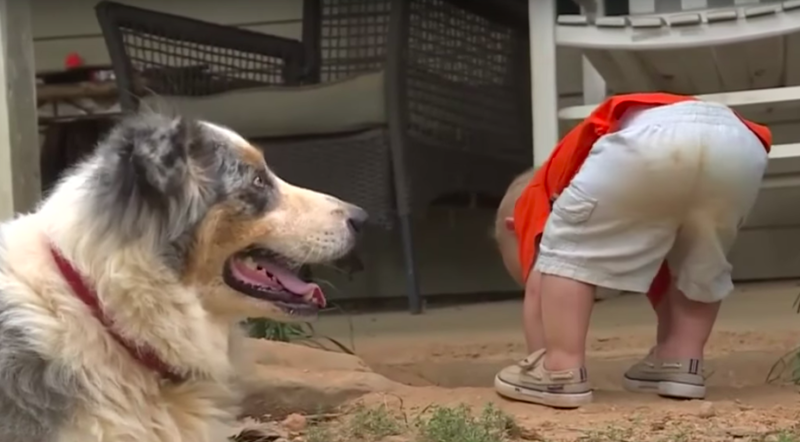 The toddler and dog had become inseparable since the day he was born and had become the best of friends. 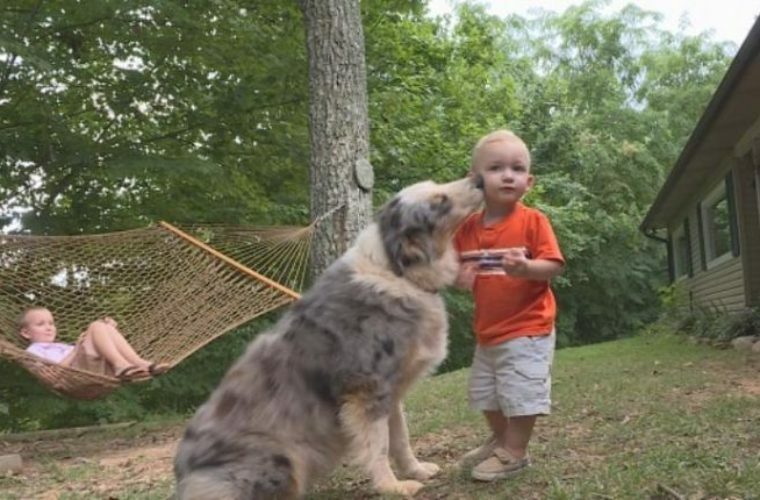 Bryson didn’t go anywhere without Shiloh, and Shiloh made sure to keep his eyes on the little boy whenever they went on their outdoor adventures. 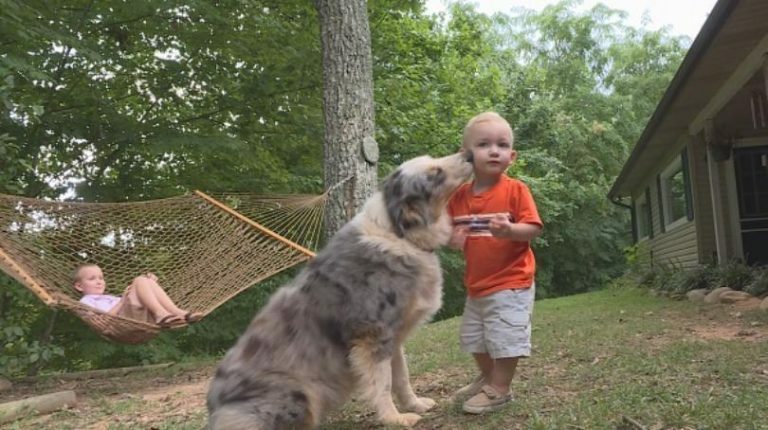 It was a typical sunny day when Bryson Holloway and his dog Shiloh were out playing in the front yard. 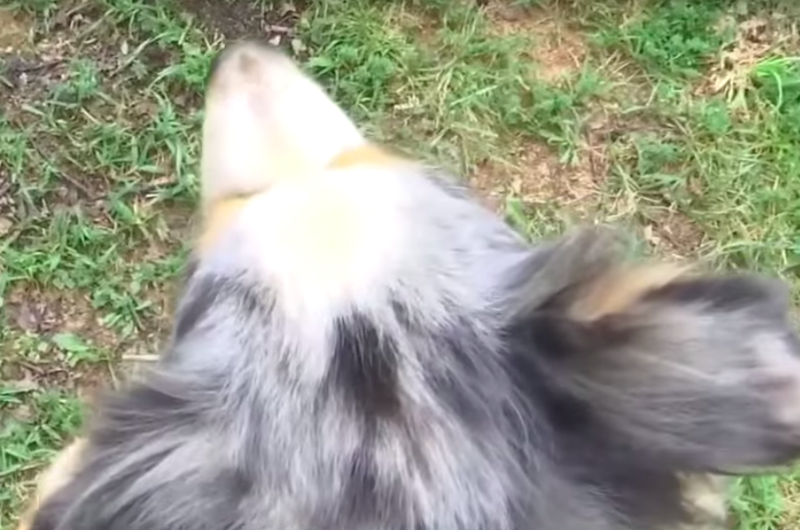 However, out of nowhere, the Australian Shepherd lunged at the little boy and it became very clear something was terribly wrong. 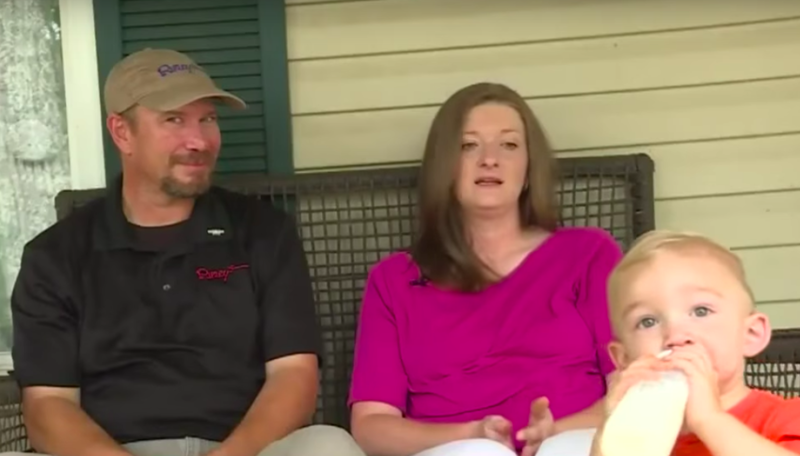 Living in Sevier County, Tennessee, the Holloway family consisted of Alicia, Bryan and their three children, along with the family dog Shiloh. 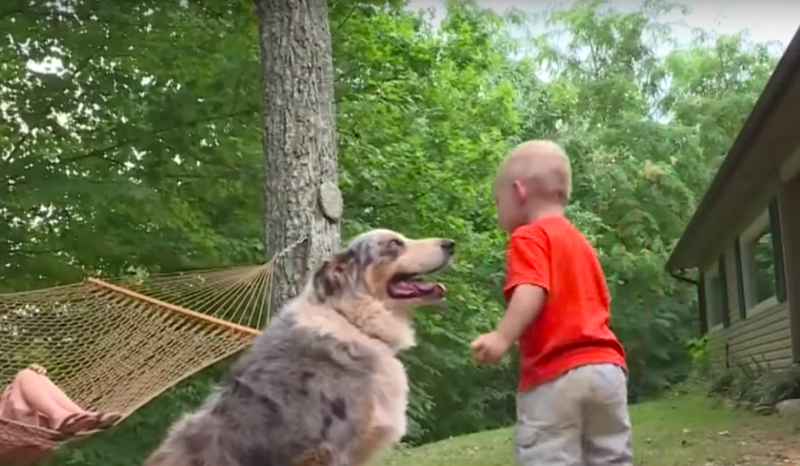 Little 18-month-old Bryson was the youngest and spent most of his days by his dog’s side. The Holloway family had adopted Shiloh when he was just a puppy back in 2009. 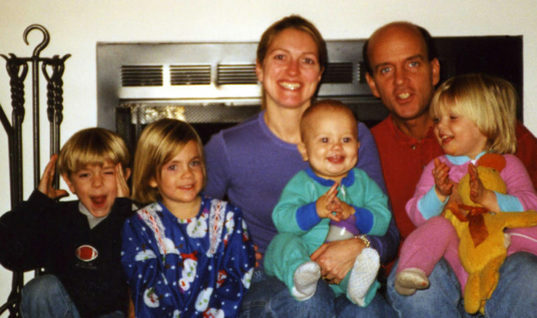 Since then, he had been a huge part of the family, as well as very protective of the children, specifically Bryson. 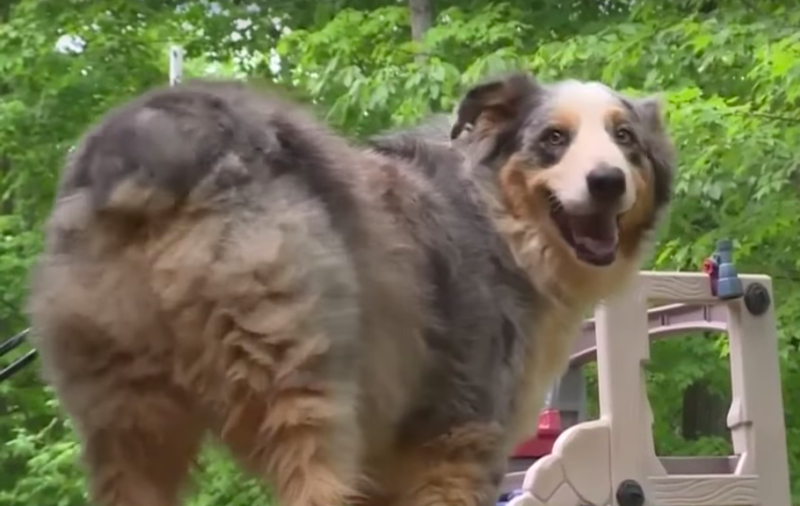 “He’s a very loving, affectionate dog,” Alicia told the local news. “He will not let anything happen to those boys.” In fact, Shiloh had been looking out for the entire Holloway clan ever since he joined the family. 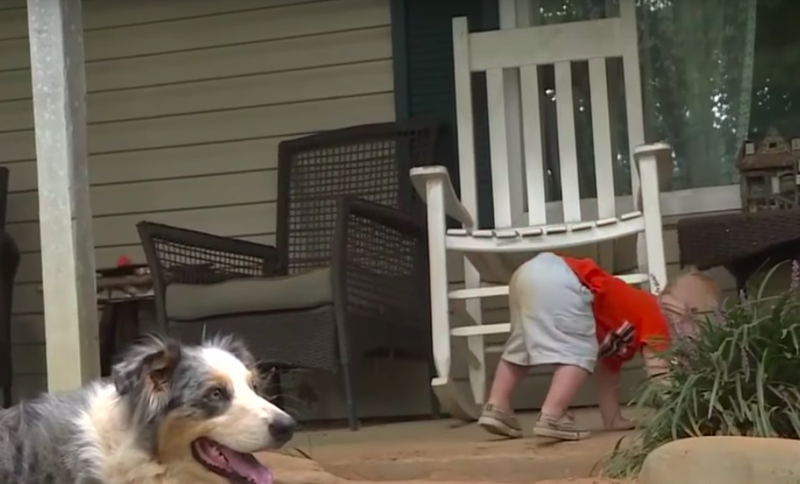 One of Shiloh’s favorite activities was playing fetch with little Bryson. 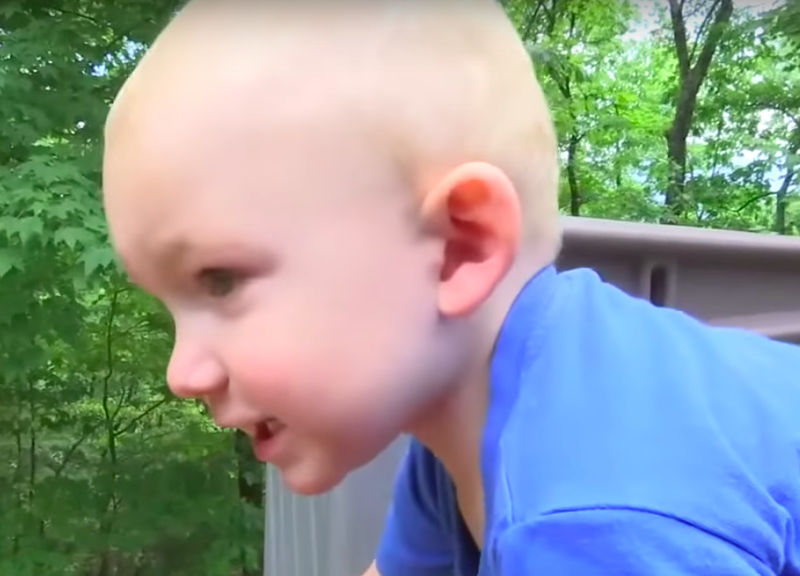 It was on a particular summer day in 2016 when Shiloh’s interactions with the toddler took a very worrying and aggressive turn. Both Bryan and Alicia had been relaxing on the porch, while Bryson was making his way to the yard. However, just as he was about to step off the porch, Shiloh suddenly lunged towards him aggressively. 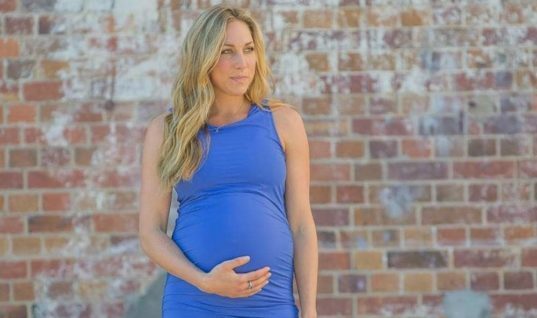 Bryan’s first thought was to grab the baby because it seemed like Shiloh was about turn on him. Thankfully, his wife had a much more reasonable explanation. However, Alicia had no idea how wrong she actually was. 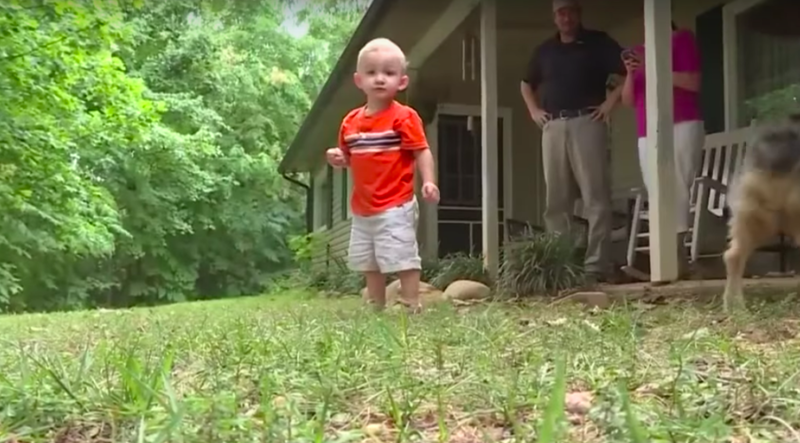 Moments later, Bryan discovered a deadly copperhead snake near where his son had been standing. If Shiloh hadn’t stepped in, Bryson could have wound up in a very dangerous situation. The copperhead snake is one of the many varieties of venomous snakes that can pose a danger to humans. 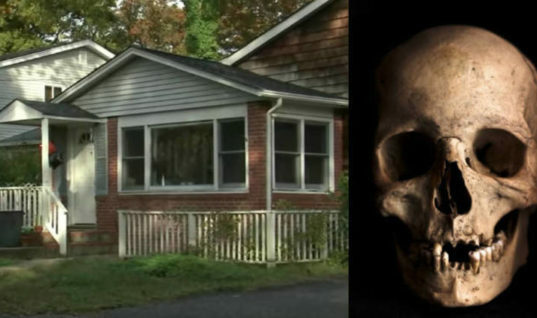 While the bites are rarely fatal, for someone as little as Bryson it could have been a deadly situation. 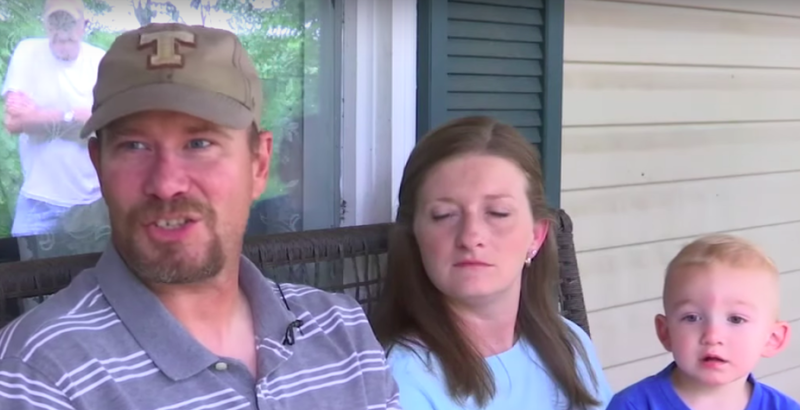 Immediately, Alicia took Bryson inside and then it became crystal clear to both parents what Shiloh had done. 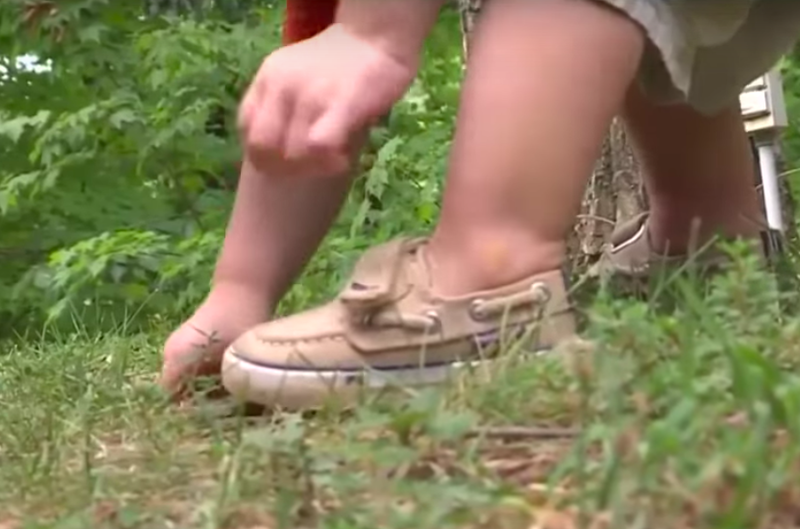 He had literally grabbed the snake to keep it away from the baby’s foot. 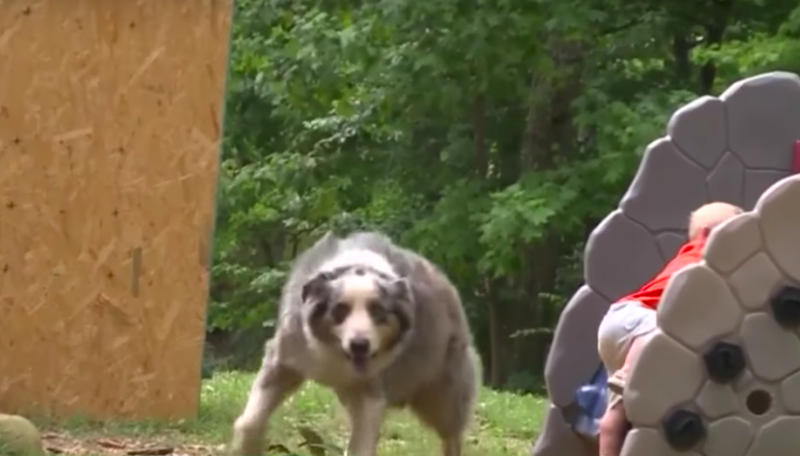 There was no aggression towards the toddler at all. Unfortunately for Shiloh, he didn’t escape unscathed. 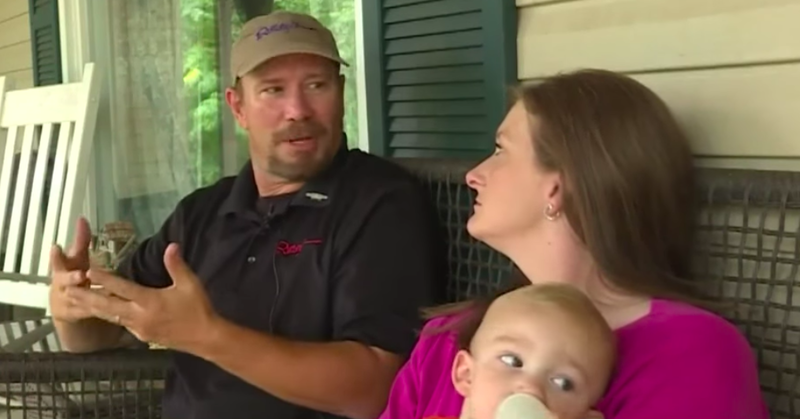 While he may have dispatched of the snake, it did get one good bite in.“Turning his head to the side and shaking his head and you could tell he’d been hurt,” Bryan revealed. It wouldn’t take long before swelling began to set in. Soon it became so bad that they had to remove the dog’s collar. “As furry as he is, and he has so much fur around his neck, you could visibly see the swelling,” Bryan told the local media. 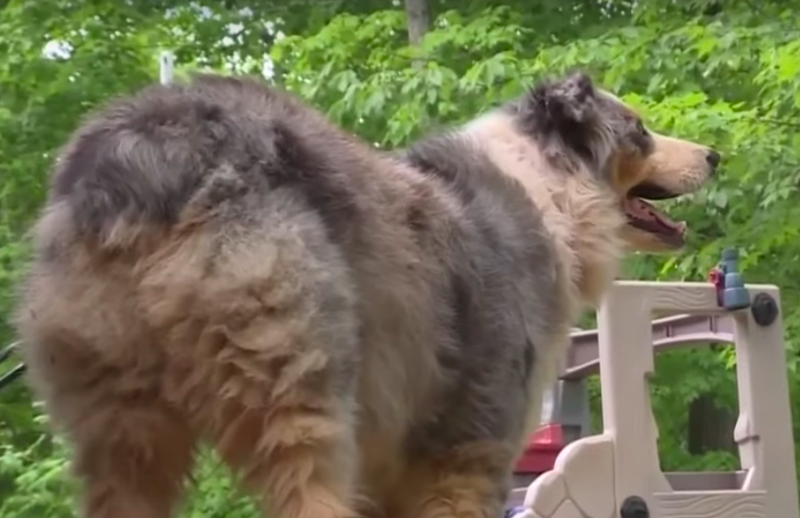 The family immediately rushed the dog to the nearest vet clinic so he could be treated with antibiotics and medications to reduce the swelling. Shiloh would also need to be on medications to help with the pain. Thankfully, the vet expected him to make a full recovery. 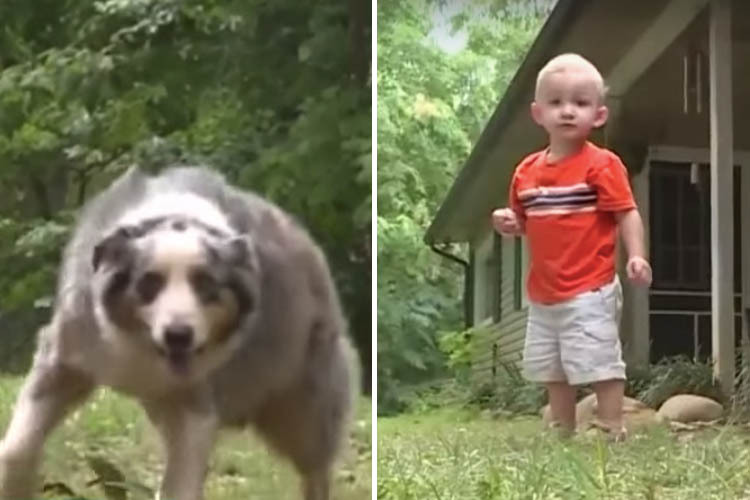 Both Bryan and Alicia couldn’t be more thankful for Shiloh and his heroic deeds, but they also wondered what would have happened if the dog hadn’t intervened. 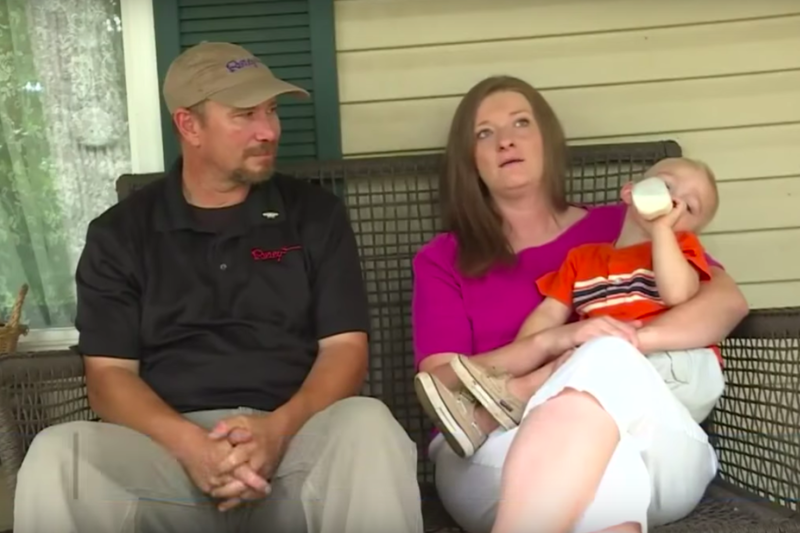 With Bryson only weighing 24 pounds, the parents believe one bite from the snake could have killed him. Thankfully, the worst was not realized and Shiloh is currently recovering from the harrowing ordeal. According to his owners, he is being spoiled rotten and deservedly so; however, they know he can’t wait to be back to 100 percent so he can play with Bryson. 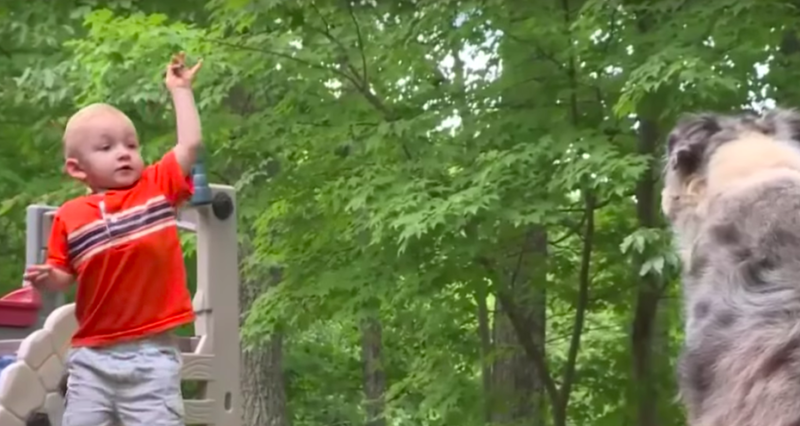 We have a feeling Shiloh is going to be living the high life in his senior years. We hope these two continue to have many more adventures together. 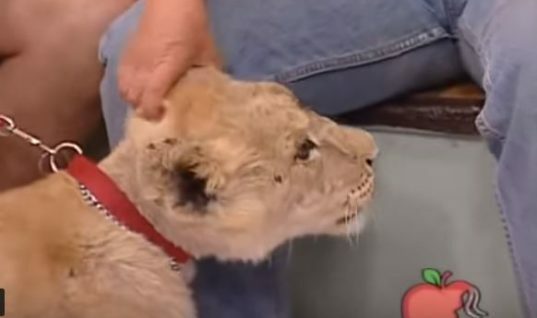 A Lion Grabbed Her Baby On Live TV. 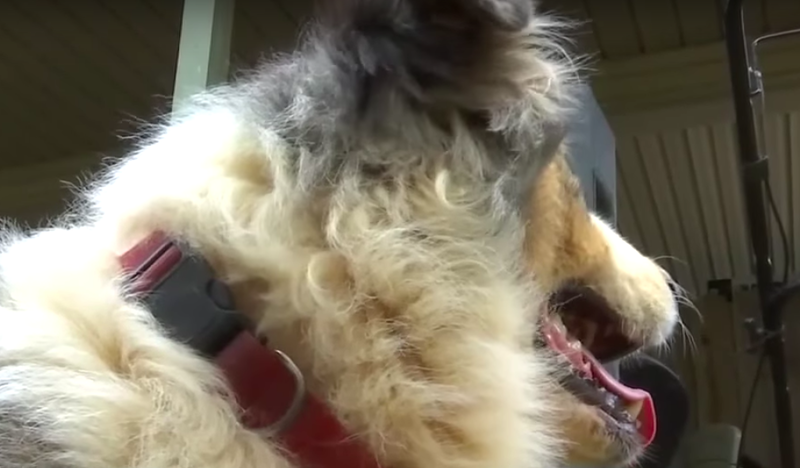 What The Handler Told Mom To Do Sounds Insane! 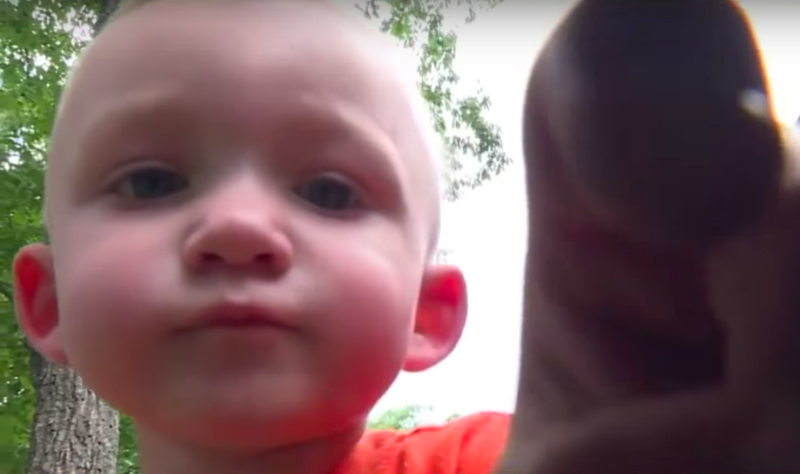 Baby Has Been On The Paleo Diet Since Birth — Here’s What She Looks Like Today.